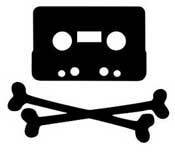 In 2011 the war against BitTorrent and other file-sharing sites will reach a new level. Since sites such as The Pirate Bay have proven that no amount of litigation or criminal sanctions against their operators can take them down, the focus will switch to undermining their infrastructure. Companies and organizations providing file-sharing sites with essential services are set to face the glare of the spotlight and attempts to hold them accountable for the actions of their customers' users. After nearly a half decade of criminal and civil action against The Pirate Bay and untold millions spent trying to take the site down, one might have just a little cold sympathy for the position of the international music and movie industries. The combined might of the MPAA and IFPI, with almost limitless funding and the ears of politicians worldwide, has failed miserably to take The Pirate Bay offline. Their lawyers couldn’t do it and their friends in government assisted by their friends in the Swedish police department couldn’t do it either. Nevertheless, the entertainment industries will have learned a lot on the way. In 2011 they will continue their pressure on BitTorrent and other file-sharing sites with a multi-pronged strategy that will see them pile pressure not just on the sites themselves, but on those providing them with critical services and infrastructure. Here are five predictions for 2011. As Operation in Our Sites 1 and 2 showed, the U.S. Government – having been intensively lobbied by the MPAA and RIAA – is prepared to act against sites by seizing their domains. The next phase of these domain seizures will certainly come in 2011 and they are expected to be bolder than those in 2010. Whether or not they include any of The Pirate Bay’s domains remains to be seen (both TPB and MegaUpload escaped this fate in 2010) but it seems almost inevitable that more torrent sites will make an appearance. Companies that provide hosting for BitTorrent and other file-sharing sites can expect to come into the spotlight in 2011. This pressure technique has been used by Dutch anti-piracy group BREIN for several years already and has sealed the fate of hundreds of smaller BitTorrent sites. More recently, it also took down some bigger players. Not only has The Pirate Bay suffered downtime and been forced to relocate several times in the last 12 months, but other prominent file-sharing sites such as Rlslog have too. The trend will continue during this year but while it has proven to be an annoying inconvenience, it will probably only be effective short term. As we have seen in a number of cases in the last few years, the IFPI and MPAA have attempted to have The Pirate Bay banned or blocked in a number of countries including Italy, Denmark, Ireland and The Netherlands, with varying success. In the last few weeks the MPA have begun testing the strategy against Usenet indexer, Newzbin, another site which refuses to go offline. The movie industry group is trying to force UK ISP BT to block customer access to the site. If successful the pressure will shift to other ISPs in the country initially, then other sites will be suggested for blockade, probably starting with The Pirate Bay. While ISP blocks can be circumvented with ease, they still have the potential to hinder the growth of sites as inexperienced users will quickly give up trying to access a non-responsive site. As demonstrated by the recent withdrawal of service from Wikileaks by Mastercard and PayPal, pressure applied in the right places by the right people can have powerful results. In 2010 significant numbers of private BitTorrent sites also reported problems with their donation accounts at PayPal. With little advertising to speak of, private sites are particularly vulnerable to this kind of setback. Last month What.cd confirmed that due to music industry pressure their donations processing services have been withdrawn several times. Expect this approach to become more widespread. Whenever the entertainment industries speak about The Pirate Bay, they are sure to assert that the site makes a fortune in advertising revenue. In their submission to the U.S. Government on “notorious pirate markets” the MPAA said that the site makes $60,000 per month in advertising, a clear attempt to give the impression that the running of the site is motivated by illegal commercial interests. In a complaint dated 23rd August 2010 and filed in the U.S. District Court in California, Disney and Warner Bros revealed their intention to go after Triton Media, a Scottsdale, Arizona-based company (not to be confused with Triton Media Group of Sherman Oaks, CA) they claim “owned, operated, provided advertising consulting and referrals for, and/or provided other material assistance” to nine movie-centric sites. In October a judge signed a consent judgment barring Triton from working with several streaming sites including watch-movies-online.tv, watch-movies-links.net and thepiratecity.org or other similar operations. They were also ordered to pay $400,000 to Disney and Warner. While Triton were an easier target than most, this success may well embolden the entertainment industries to take further legal action against advertisers. They may, however, simply have a quiet word in those at the top of the advertising chain and suggest that promoting goods on torrent sites can prove counter productive. Still the big question remains – will these draconian measures prove effective? While they will certainly prove to be a hindrance, sites are already preparing to deal with the various threats listed above. Are torrent sites about to give up and go home? Absolutely not.